Score killer view of Cira Green at the BPM Fitness outdoor workout popping up on October 3. Photograph by Caroline Cunningham. Just because summer is *nearly* over, doesn’t mean we’re any less excited about outdoor and rooftop workouts. After all, a nice breeze during a workout can be utterly refreshing and seriously necessary while working up a good sweat. No one knows this better than Best of Philly award-winner BPM Fitness, who is hosting a (super cheap!) rooftop bootcamp in October. 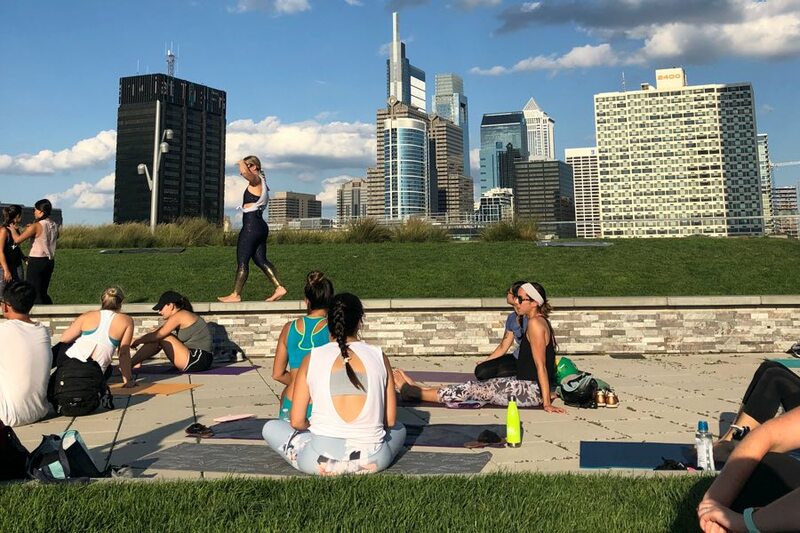 On Wednesday, October 3, at 6 p.m., BPM instructors will be setting up shop at Cira Green in University City for a killer sweat with sky-high views of the city. The workout will backed by a live deejay to step the energy up a notch and make this boot camp one for the books, because it might just be one of the last of the season — so we might as well go out with a bang! Oh, and we can’t forget to mention that this pop-up bootcamp comes with a very affordable price tag. At ten bucks a pop, you can score one of the best workouts in the city. Registration for this event doesn’t open until September 26, but you’ll want to hop on right over here as soon as tickets go live. Here’s to bidding outdoor workout season a farewell with a bang, BPM-style. Cira Green is located at 80 South 30th Street in University City.